Prominent & Leading Manufacturer from Chandigarh, we offer cholecalciferol granule and natural probiotics strain and prebiotic zinc enriched yeast. We are offering the high-quality collection of Cholecalciferol Granule to our valuable customers. Prepared from high-grade ingredients, the product offered by us are appreciated and demanded widely for their high effectiveness. 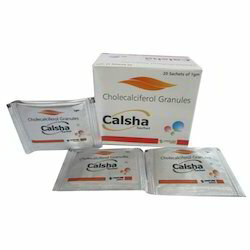 These products are widely used in the treatment of liver related problems. The offered products are available with us at economical prices within the promised period of time. 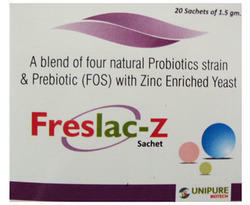 In order to keep pace with changing trends of the industry, we are offering a quality assured assortment of Natural Probiotics Strain and Prebiotic Zinc Enriched Yeast. The offered assortments of products are preceding by innovative professionals in compliance with the supreme grade ingredients. Additionally, these products can be availed at pocket-friendly prices from us. Looking for Pharmaceutical Sachets ?